Cetaceans - Physeter Macrocephalus, Kaikoura, New Zealand coast. 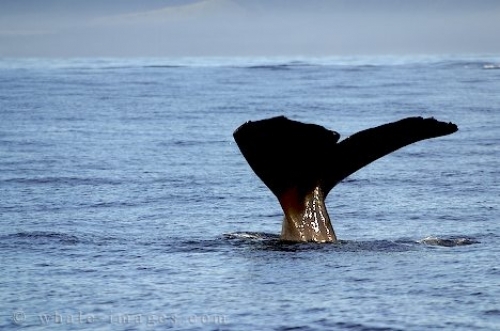 The sperm whale is one of the 76 cetaceans found in our oceans and is a marine mammal. Cetaceans are those species relating to whales and dolphins. I shot a picture of this sperm whale tail fluke as it slid effortlessly into the water. The sperm whale is one of the cetaceans that spends much of its time under water diving deep to where it feeds. Generally a whale will display its tail when it takes a very deep dive. Picture of a Cetacean, a Sperm Whale diving in Kaikoura Bay.